These Vampire Donuts are the perfect Halloween treat to give trick or treaters, or to share at Halloween parties. Read more about our favorite Halloween Tradition. Halloween is practically here. We have a couple of fun parties with our church group and at school, so I wanted to share this simple and fun treat that you can take to any holiday get-together. They don’t require too much to make, but they are a hit at every Halloween get together. Every time I make these people always come find me to tell me that it is such a cute idea and how they plan to do it at their next Halloween Party. Our family is a big time Halloween family. Not because we like the scary part of it, it’s actually the opposite. We love the trick or treating, and the cutesy decorations we loved from childhood. Every year for Halloween our mom made a big ol’ pot of chili. She was famous for it. (If you want the recipe, it’s called our Mom’s Slow Cooker Chili and you can find the recipe, here). As kids we hated it, because the only thing keeping us from trick or treating, was eating our whole bowl of chili. Now I would do anything for a bowl of that delicious chili. But we have recently started a new family tradition. I am proud to say we are the neighbors that pass out donuts on Halloween. And not just any donuts, we pass out these spooky Vampire Donuts. We project a movie onto our garage, usually The Great Pumpkin Charlie Brown, or Hocus Pocus, pass out vampire donuts and hot chocolate, and have a good night with our neighbors. If you are looking for a delicious hot chocolate recipe, check out our Nutella Hot Chocolate. We do keep a bowl of candy just in case we have some persistent or picky trick or treaters, but we usually keep it to Vampire Donuts. Now every year we have to get more and more donuts as the word gets out that the family at the end of the street has donuts for the parents and kids. If you are looking for a way to meet your neighbors or get the neighborhood together, this is our favorite tradition we would love for you to share with us. With the Vampire Donuts of course. Step 1: Take a set of vampire teeth and place in the hole of the donut (depending on the size of the hole of the donut, you may need to stretch the hole out a little bit). Step 2: Open the teeth up a little bit so that the teeth fill the entire hole. Step 3: Place two eyes on the donut (the glaze on the donut should be sticky enough that the eyes stick on, but if not, you can use a small amount of frosting to help them stick). This recipe is good for a dozen donuts. If you are planning on large amounts of guests, add ingredients as needed. 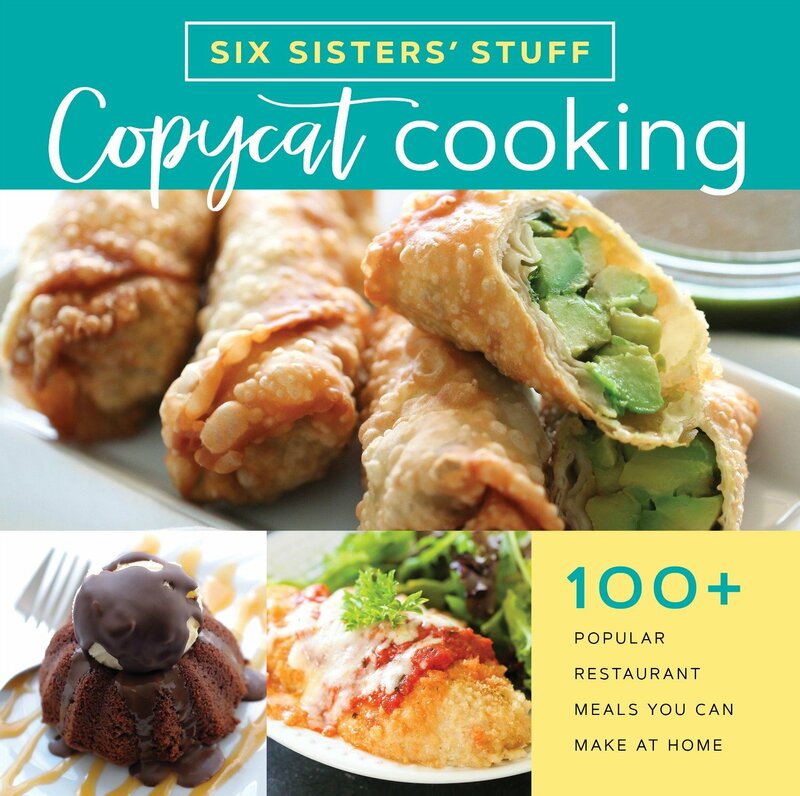 We have hundreds of delicious and simple recipes your family will love. You can find them on our Youtube Channel, where we take you through step by step, how to make the recipe. 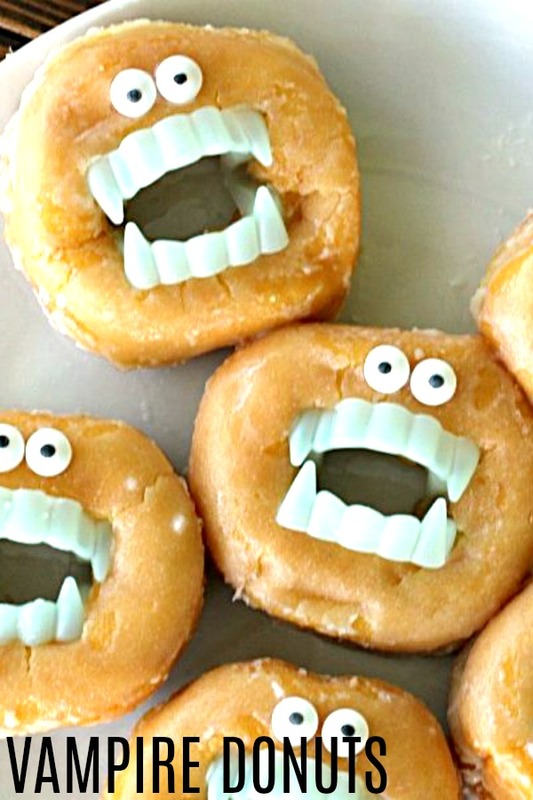 Vampire teeth and candy eyes take donuts to a whole new level! Take a set of vampire teeth and place in the hole of the donut (depending on the size of the hole of the donut, you may need to stretch the hole out a little bit). Open the teeth up a little bit so that the teeth fill the entire hole. Place two eyes on the donut (the glaze on the donut should be sticky enough that the eyes stick on, but if not, you can use a small amount of frosting to help them stick). So fun! Would like to pin your site & recipes. Is that possible? Right now our pin it button is at the bottom of the recipe post. We may move it soon to make it more accessible. But right now it's at the bottom where it says Like it? Share it!